Well, surgery went well on Monday. I was amused because the anesthesiologist had to come in and place my IV because the nurses were too scared to poke me. The nurses said they didn't see anything so they didn't want to poke me 8 times. I agreed with them and thanked them for not doing so because I've had some horrible nurses who have stuck me up to 18 times, no exaggeration. The IV went into my right wrist, so it was in an odd place. The anesthesiologist gave me the medicine to put me to sleep while the doctor was injecting numbing medicine into my back. I yelled ow a few times and he injected more. The anesthesiologist asked me if I felt the medicine yet and I shook my head no. She gave me two small syringes of something plus versed. Then, pushed the Propofol, twice. The doctor realized that my IV wasn't working and went over to my wrist and pressed down on it at a funny angle...and then ALL of the medicine hit. I don't remember anything after that, not even being woken up to see if the spinal cord stimulator (SCS) was working properly in the right area. I woke up and the anesthesiologist moved quickly to unhook my IV because the Propofol was still in there heading to my vein, trying to make me sleepy again. I was amused. The staff at this place are great. I would recommend them to anyone who needs pain management. Their bedside manner is fantastic and it's hard to find a doctor who will actually listen to you first. After they taped me up, I went into recovery where they fine tuned the SCS with a computer. They gave me a remote where I could control the amount of stimulation myself or turn it off while driving. I laid down when I got home from surgery and laughed so hard because the stimulation was turned all of the way up. I had to wait for my husband to bring the remote inside. Last night, I slept without tossing or turning, which is something I haven't done in a long time because I couldn't feel pain in my left knee. I was able to walk around more. It was nice not to have that constant sharp pain along with aches. It was all gone. 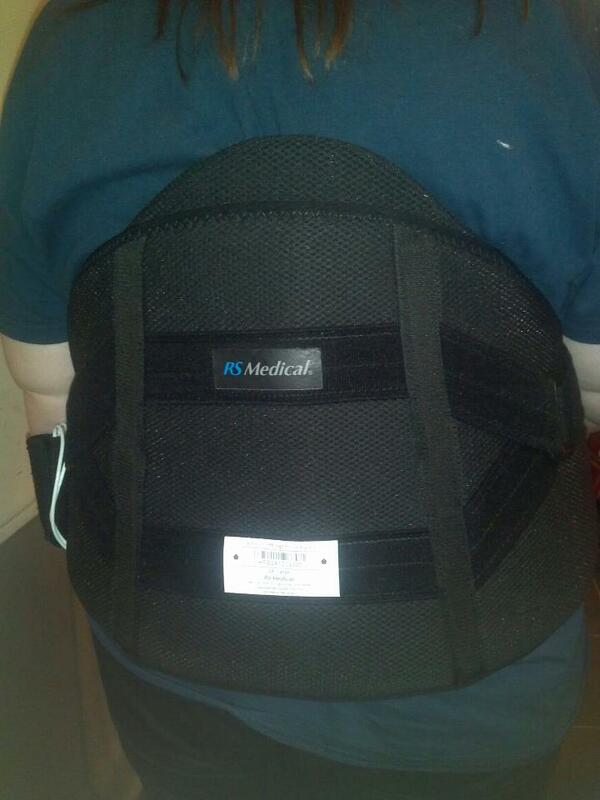 Then, I went to sleep the wrong way with my back brace on and moved the leads. Now, they will only work if I'm sitting a certain way or if I lay down. So, I called the doctor and asked them to pull the leads out and that I would like to have the permanent implant done. 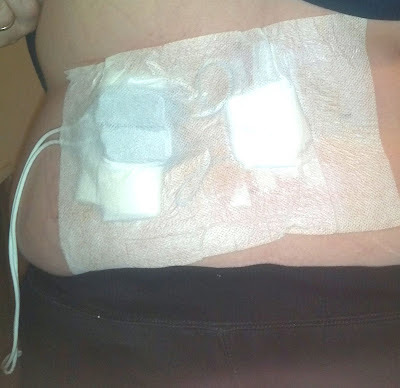 The Rep for Boston Scientific (who represents this machine I'm using for the SCS) will call the doctor and put me on the schedule to have the leads pulled out tomorrow, which is good because I'm allergic to this tape. It itches like crazy! So, I will be put on the schedule to have this one permanently and I'm excited about it. If I can get this under control, maybe I won't vomit as much because vomiting is my pain response too. Then, I can just focus on my stomach. I need to get that taken care of. I have an appointment with the GI doctor on Monday and an appointment with the Nutritionist to go over a diet plan later next week. I'm still severely nauseated, but not as bad as I have been. That could be wishful thinking on part of the temporary implant but we'll see. I'm just excited to finally have my knee taken care of and to have finally found someone who will help me. Then, I can focus on my stomach.